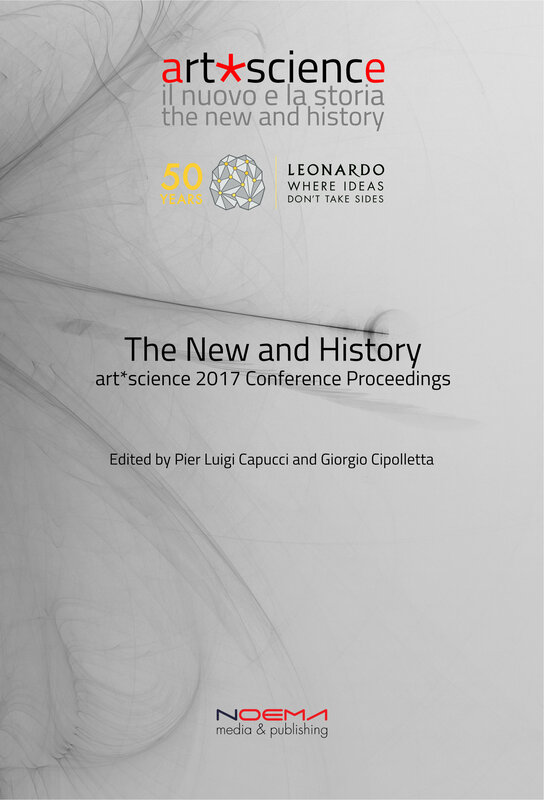 The book collects the proceedings of art*science 2017/Leonardo 50 conference, that took place in Bologna, July 3-5 2017. Noema was a co-organizer and a main partner of the event. Some weeks before the conference beginning the topics of art*science 2017/Leonardo 50 were introduced by a discussion on Yasmin, and were relaunched throughout the events. Yasmin is an International mailing list, supported by UNESCO, Leonardo and Noema, born in 2005. It is collaborative project of a network of people and organizations, artists, scientists, engineers, theorists, scholars, students and institutions that promote communication and collaboration in art, science and technology in the Mediterranean basin regions. Many thanks to the invited discussants/respondents who animated the discussion, moderated by Roger Malina, Nina Czegledy and me. They are Elif Ayiter (Turkey), Wafa Bourkhis (Tunisia), Roberta Buiani (Italy), Salvatore Iaconesi (Italy), Pau Alsina (Spain), Giorgio Cipolletta (Italy), Katerina Karoussos (Greece), Živa Ljubec (Slovenia), Oriana Persico (Italy), Elena Giulia Rossi (Italy), Judith van der Elst (Holland). Some of them also participated to the conference. And of course to all the other people who gave their contribution to the discussion. art*science 2017/Leonardo 50 conference was also the opportunity for a meeting among the participants to Yasmin mailing list.